We all know about the ozone layer that protects our planet, however, ozone exists in the lower atmosphere. One of the ways it is formed is through the high energy contained within electrical discharges, which occur during lightning storms. It is what causes the fresh smell after a lightning storm. Ultraviolet rays emanate from the sun, creating ozone (O3). The rays split the oxygen molecules (O2) and form an unstable oxygen molecule and a highly unstable oxygen atom. Because they are unstable, they oxidize, or go through a reaction, bond with the loose atom (O1), and create ozone. People all over the world are experiencing the multiple benefits of this natural and purifying form of Oxygen. It is another form of Oxygen (O3) where three atoms merge to form the oxygen molecule as opposed to two, found in regular Oxygen (O2). These qualities of Ozone have been occurring naturally since the beginning of time. Some occurrences you may know about, others may surprise you. The Sun emits harmful ultraviolet radiation, which has detrimental effects on humans, animals and plants. The Ozone layer in the upper atmosphere protects our planet from these rays. In the lower atmosphere the water we drink, air we breathe and food we eat are naturally purified and sanitised by Ozone. It is one of the most effective and safe methods to remove bacterial, viral, and fungal activity. It seeks out and eradicates the organic molecules that form many indoor pollutants, such as mold and mildew. Whether biological or chemical pollutants, Ozone rapidly oxidises them by reverting back to O2 (oxygen) and depositing the third Oxygen atom onto the offending pollutant. The complete life-cycle of ozone is: generation, oxidation, return to oxygen. This very effective process, deodorises, disinfects, and destroys many of the pathogens and fumes that negatively affect air and water sources. With oxidising power 3 000 times more effective than bleach, ozone is the second most powerful oxidant in existence. 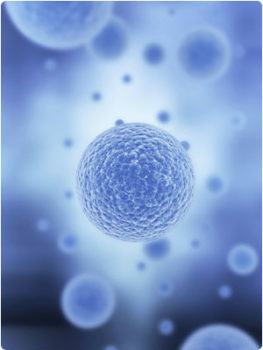 When ozone gas is introduced to an environment with bacteria, mold or any other organic material, it readily donates one of the oxygen atoms to oxidize or destroy that material. Ozone can also oxidize some inorganic materials like calcium and arsenic and a number of trace metals, such as iron. Once the third oxygen atom is used to oxidise an organic or inorganic contaminant, there is only an oxygen (O2) molecule left. This is one reason why ozone is preferred as an oxidant to various chemicals, because it does not leave any type of residual chemical. As a result, ozone gas is used in mold remediation, air sanitising, equipment sterilisation, water purification and commercial laundering. Ozone attacks soils and greases the same way it attacks bacteria and mold. This means that as soon as ozonated water comes in contact with linen and fabrics, it begins breaking down these contaminants so they can easily be removed from the fabric by detergents. 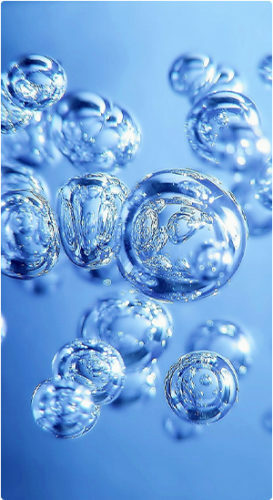 Ozone treatment is the most frequently used disinfection process in water bottling. With the application of a single ozone treatment step, the water bottler can disinfect the water, the bottling equipment, the bottle, the air above the water and the sealed cap of the bottle. This is why most water bottlers use ozone treatment to provide a safe, good tasting, aesthetically pleasing and storage stable product.